One of Basel’s oldest neighborhoods, St.Alban-Tal was first settled by the monks of St.Alban monastery in the late 11th c. Artificial canals that drew water from the river Birs were constructed during the 12th c. - they powered numerous mills and provided the basis for a thriving paper industry that played a significant role during the time of humanism. In the early 19th c., abundant sources of water were tapped here for Basel’s rapidly growing population. Silk ribbon manufacturing followed yet the whole area started to deteriorate in the early 20th c. It was only because of the comprehensive urban restoration project of the late 1970s and early 1980s that St.Alban-Tal presents itself today as an attractive historical neighbourhood. The second part of the walk takes us along Rittergasse, the street laid out by the Celts. We will look at some of its Baroque houses and will visit the Murus Gallicus archeological park. 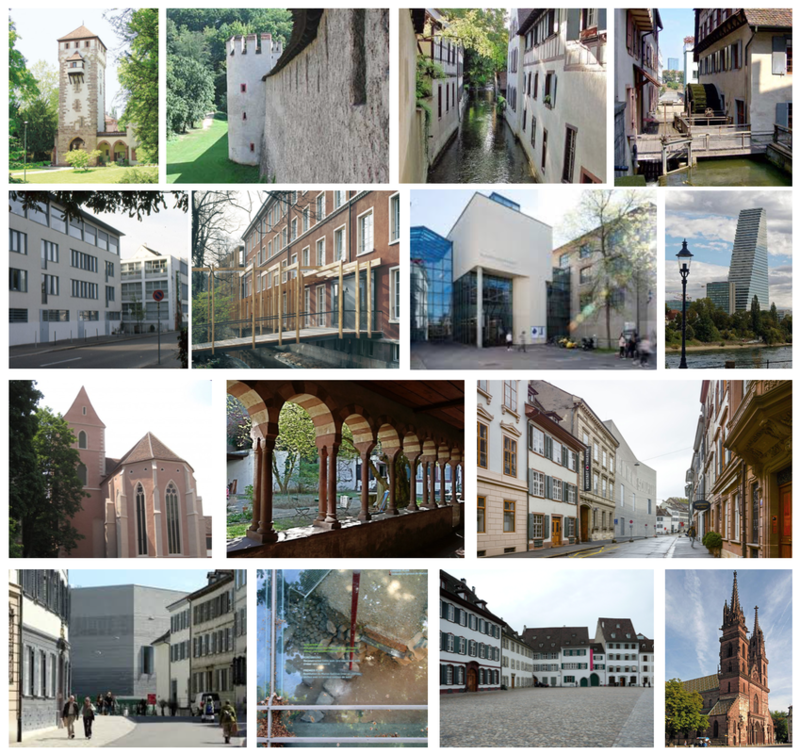 On Münsterplatz we will discuss various aspects of this historically important urban space and will end the tour in front of one of Basel’s most prominent buildings, the Cathedral. Consecrated in 1019 by its founders, the Holy Roman Emperor Heinrich II and his wife Kunigunde, Basel's Münster is known for its stylistically complex west facade and its ornamental detailing, as well as the impressive Romanesque carvings of its Galluspforte. * Art Basel / Parcours opens on Monday, 11 June 2018, at 1 pm. During our tour in the morning, we will be able to see some of the sites / artworks.